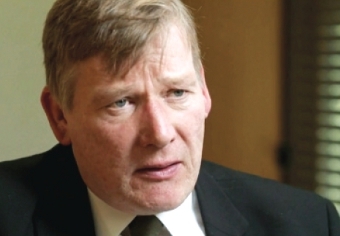 MENTAL health services in Surrey have been given a £1.5 million injection by Local Government Minister Kris Hopkins. The cash boost is aimed at helping work to provide emergency support that will also potentially save the county council £13m. Surrey County Council Leader David Hodge said: “This is great news for Surrey and, most importantly, for people with mental health issues. Investing this money means we can provide even better support when it is most needed, while also saving £13m for local taxpayers over 10 years. Surrey County Council, Surrey Fire and Rescue Service, Surrey Police, the county’s six clinical commissioning groups, South East Coast Ambulance Service, and Surrey & Borders Partnership NHS Foundation Trust will join forces with the county’s 11 boroughs and districts and voluntary groups to make sue of the funds. Money will be invested in ‘safe haven’ facilities across Surrey, a 24-hour telephone line manned by staff from all public services, and a ‘buddy’ network to provide support in local communities. “Working together as one team, whether we’re a council, an emergency service or a voluntary group, will ensure problems are picked up as soon as they emerge so more serious difficulties are prevented later,” added Cllr Hodge. According to national statistics, people with mental health problems account for around five per cent of A&E visits, fill 30 per cent of hospital beds and make up a third of the number of people readmitted to wards. Richard Walsh, Surrey County Council’s Mental Health Champion, said the decision to award the cash is a win-win situation for all parties.